Posts may contain affiliate links. See my disclosure and privacy page to learn more. It's the week of your vacation! What do you have to do? Oh my goodness! What DO you have to do? 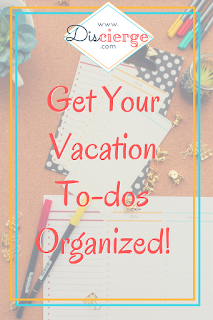 I can't do your prep for you but I can provide you with a pretty printable to help you stay organized and get your to-dos, done (and hopefully feel the magic, not a ton of stress). I created this "To Do" list for myself. Initially, I thought I'd list, "To Buy," "Pack," etc. Then I realized this didn't help me quickly figure out what to do. If I'm out running errands, I want to buy items at a store. Some of my "to buy" items are to buy online, though. I want to take care of that at home on my desktop (it's easier to compare prices on a full-size monitor). There is also information to gather online. You might need to call about something and need to do that from home, in private. Perhaps you make calls between errands, though. With this "where do I do it" concept in mind, I created three lists. You do your tasks when you're in the place you can do them. That's what these columns represent, not the "type" of task they are (which is often how we think of them when making our list). 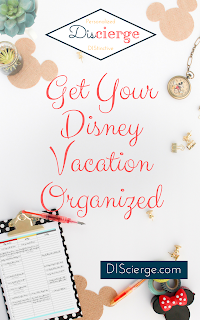 The "Errands" column is for anything you do outside the home. Feel free to make sublists for specific locations, stores, whatever makes sense to you. Your errands could involve waiting when you could handle a phone call. That might be a sublist for you. 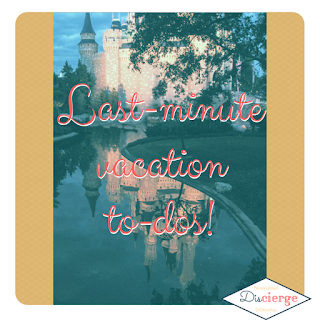 Your "at home" list might need to be split depending on if the kids/spouse is around. This might be "during school" or "after 6pm." Also, I've gone ahead and made this an extended PDF so you can type into it. I love doing everything digitally but even I'd primarily handwrite information on this list. I don't like typing on my phone which is the device I could have anywhere and I REALLY don't like typing in a PDF on my phone---so printed is more practical for me. Do what works for you but I've focused on this being a printable. One of the big advantages of writing is you can color code things. You could create sublists by typing your sublist header and then printing before you get started. Your subheaders will be nice and distinct that way. Unfortunately, an extended PDF doesn't give you a lot of formatting options if you want to type (unless you happen to have software that specifically gives you formatting capability). This is a simple printable, the concept and the fact it's pretty is what makes it more than a piece of paper. Feel free to make it even prettier with color. You'll notice this is a two page PDF. I've thrown in a second page if you want to print it on the back side of your To Do lists. However, when I printed a copy, I noticed the red shows through a good bit on the backside. Not a big deal, this is just for you, but if you're bothered by that kind of thing, be aware. There's something else about this optional second page. I did three columns instead of something cute so you could cut them into three strips if you want (you could also tri-fold). This just makes your list smaller and more portable. You might find smaller means "more likely to lose" so it's up to you. This to-do list would be good to laminate and reuse. A few years ago I bought an inexpensive at-home laminator for some volunteer work I was doing. 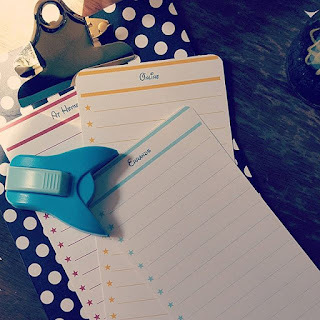 Now I mainly use it for things like a to-do list or other planning items (as well as things for the kids---writing practice, chore charts, anything). They don't make my exact model anymore but this is the current equivalent. It's actually smaller which is nice! It is also supposed to heat up faster and mine is fairly slow before it's "ready." You can laminate the sliced up columns (just trim the margins to make sure everything seals) or the whole page. I'd print on cardstock if you're going to laminate. Part of the reason I think laminating would be helpful is it will make the page stiffer so you can more easily write on the lists without needing a table or clipboard. If you laminate the individual lists, you'll have two additional laminated lists to write against (single-hole punch to keep them together, I keep single binder rings on hand for things like this). I bought wet-erase markers for all my laminated lists. These used to be easy to find, they're what people used with overhead projectors. With digital projectors making overheads obsolete, you might not find wet-erase markers at your local store. I have found them at my local stores (Wal-mart and office stores) but only the one brand in four colors (black, red, green, blue). On Amazon, you can get more colors and brand choices. FYI, these are also great on a whiteboard if you want something to stay when you erase your dry-erase markings but you don't want it to be permanent. I number my calendar with wet-erase in case I make changes and "erase" the date below. Dry-erase markers write fine on laminated lists but if you throw them in your purse, the writing might rub off (and onto something in your purse!). I've even had this happen in my planner. If you want the writing to stay on for any length of time, or your list will travel, buy some wet-erase markers. If you just want a list at home, for a day or three, dry-erase is perfect. If you're in a real crunch, sign-up (above or below), print this off, and get started. Go, now! For everyone else, I'll recap. 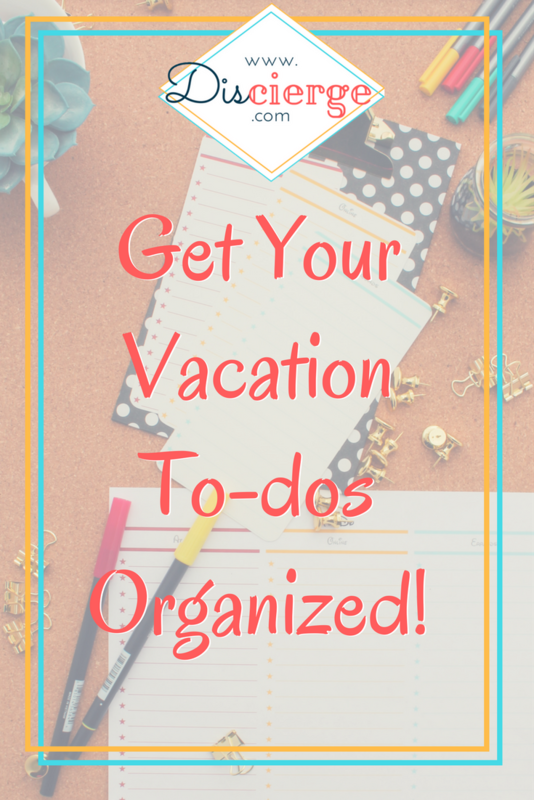 This list is set-up for the three primary locations you'll handle your last minute to-dos: at home, online, and away from home (errands). You can type into this PDF or just print it. Subheadings might help you be even more organized and you can cut these into three columns or tri-fold. If you go for a full sheet, print the optional notes sheet on the back if you like. If you've got a laminator, consider printing on cardstock and laminating the sheet/columns. This will be a handy reusable set of lists (and you could use it for many occasions). Dry-erase markers work on laminated sheets but will rub off. Wet-erase markers are ideal for lists you want to carry with you or to keep the writing on for longer. My laminator is no longer available so I'm showing the "alternative" Amazon presented me. Do you have additional supplies you like to use with laminated planning sheets? Have you found fine chalk markers you can use? Leave a comment if you have suggestions.